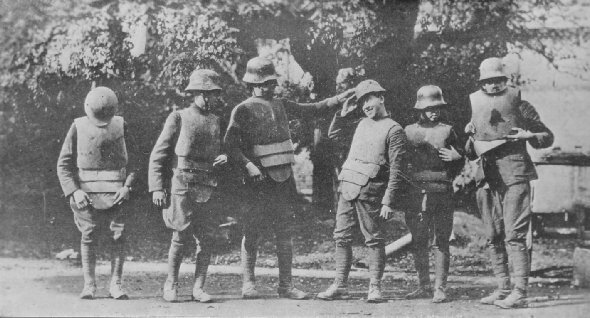 Soldiers of the 27th Division trying on German armor, near Corbie, France. Armor seemed like stage property to the American boyssomething that belonged to medieval Europe. They even objected to wearing the helmets at first. One lost all horror of the dead. Their visible incorporation with the mineral world seemed to make them lose all personality. 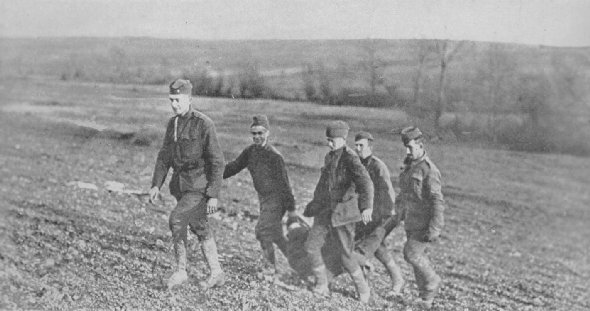 Chaplain Thomas B. Lugg, 2nd Division, clearing battlefield of German dead, Imecourt, Nov. 4, 1918.